This year’s Homecoming Week, planned by the Junior Class, will have quite the patriotic theme. 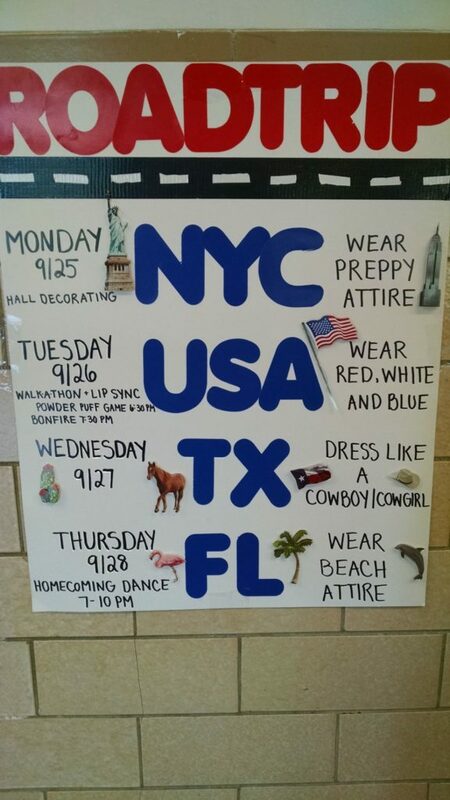 Each day of the week will have a different themed-dress corresponding to an area of the country and each class will be assigned a part of the U.S. to theme their hall decorations around. The big Homecoming Dance is scheduled for Thursday night from 7 to 10 p.m., and the Lancers will take on Honeoye Falls/Lima at home on Saturday at 1 p.m. for the big Homecoming Game! Make sure to check here to see all of the rest of the teams that are in action this week and need some Lancer support!